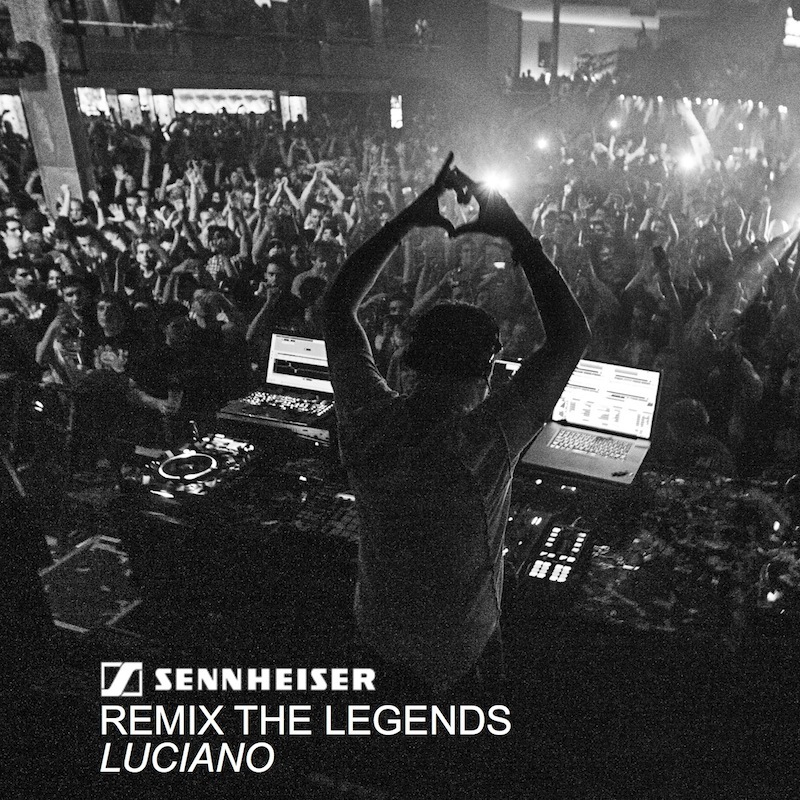 Luciano is proud to announce his participation in the amazing #RemixTheLegends Contest exclusively hosted on Facebook by Sennheiser. The award-winning German audio company, founded in 1945 and specializing in the design and production of both consumer and professional products, has been endorsing the Swiss-Chilean world touring DJ for years now, along with other key players in the industry like Bob Sinclar and DJ Fly. Fans get the chance to remix the track “Fran Left Home” chosen by Luciano himself from his discography and to submit their personal mix through the Remix the Legends Facebook App (http://bit.ly/remixthelegends). After four weeks, each of three participating DJs will pick the winner for his own song and the Sennheiser community will select three winning remixes too. The campaign starts today March 19th and runs until April 16th. Immediately after, the winning tracks will be revealed by the three DJs, with the addition of the audience’s choices. Each of the three winners will receive an HD8 DJ and will win a VIP trip to a special DJ event with the respective DJ, and the winners of the audience vote will receive an HD8 DJ. Luciano and Sennheiser are looking forward to hearing your music, so feel free to download the stems from the Cadenza Music’s Soundcloud here: http://soundcloud.com/cadenzamusic/sets/luciano-fran-left-home-1/s-rHyLS and start working on the remix! !